Stress can hinder your health and your performance. Break the stigma about slowing down and learn how taking a break can improve not only your work but your body too! Life demands a lot from us and we're usually pretty happy to comply. Most don't mind working hard towards goals to achieve happiness and comfort. Whether we've been raised that way or conditioned by the media is up for debate. But something we all need to learn is how to stop and rest. I'm not talking about a short break where you check you email before going back to your task - I mean a real break. 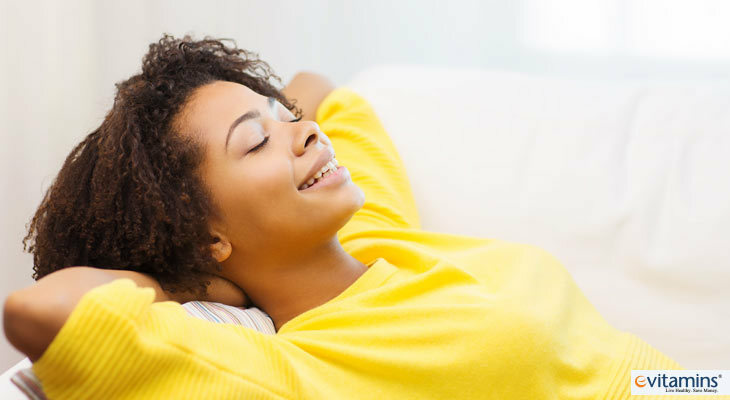 When's the last time you focused on resting your mind and body for a couple minutes in the middle of a task to recharge and make sure your health is well? Yeah, that's what I thought. Nearly every minor affliction you're suffering from can be helped by stopping what you're doing. Don't believe me? Google quick tips on whatever ails you and I bet "take a break" will be part of the recommended list. Just see what you can suffer from when you don't rest. Anything that isn't solved or prevented by short breaks can be hindered or worsened by stress. When we work hard or have a deadline, we get into a rhythm and put our bodies and health on the back burner. It's not as important to us as our boss's praise or a good grade or even planning the next family trip. But taking a break isn't going to kill you. In fact, it'll help you live longer. Stress is not just an emotion you feel on a daily basis when you spill orange juice on your shirt. It's a very real problem that has links to early death and even changes in our DNA. To cut down on stress it's important to be aware of your workload and how much you're doing. Keeping a realistic expectation of your goals and how much you can accomplish can avoid repeated disappointments. Taking breaks can also help increase your productivity and decrease the stress you feel. I mentioned before that taking a break isn't just switching from task to task but stopping what you're doing. How does stopping help you feel better and accomplish your goals? It's actually very simple. Rest Your Eyes - Working on a computer can put strain on your eyes. Digital screens and overhead lights emit blue light and can flicker which harm your eyesight. Your eyes dry out and can get tired or irritated and that forces you to work harder to see. Resting your eyes even for a minute can keep your eye strength up and help them better focus on what you're working on. It doesn't even have to be closing them, just simply not looking at a computer, cellphone or tablet for a couple minutes every hour is enough to keep them healthy. Stretch Your Muscles - Slouching and sitting in one place for too long can really harm our posture and muscles causing back pain and aches from our shoulders to our hips. Getting up and stretching releases tension you might not be aware you're holding and relaxes muscles, keeping that pain away. It also increases blood flow which helps keep your heart healthy, regulates blood pressure and even cholesterol - all problems that arise from sitting too long. Fresh Air - Breathing in fresh air and getting some much-needed sunlight won't just improve your mood but will actually get you some natural vitamin D. Even on cloudy days, going outside can improve mood and the dust-free fresh air will keep your respiratory system happy. Studies say getting fresh air can help revitalize your mental performance and cut down on mistakes. Socialize - Studies show men and women become more social when stressed out and chances are if we're consumed in work, we're not talking to others. Talking to coworkers can help ease your tension about worries going on in the office and offer a momentary distraction. You may even find help to a problem you've been having. Take Time Alone - To counter the socializing, you need time to reflect on your own life and mind. Take quiet moments to reflect on what your goals are and what you're doing to achieve them. If you've gotten off track, this is the perfect time to think about how to get back on the right course. Everything stated above sounds like a lot but most of these can actually be done in one go. Getting up to refill your coffee mug or get some water gives you an opportunity to stretch and move around. You may meet others in the break room and keeping hydrated will help keep you alert. Take your time and relax while you do it, work will be there when you return. Schedule your breaks. If you schedule in a five minute break every hour, you're less likely to miss it. Soon it might even become habit. Suggested dose is 15 minutes twice daily. There are other ways to break but for most office jobs, a 15 minute break in the morning and a 15 minute break around 3 pm is best suited. Try to get the full 15 minutes but add in some stretching at your desk and eye rests every hour or so. Don't work through lunch. Sitting down and eating helps you unwind and refocus your mind. It also helps you pay more attention to what you're consuming. This allows you to keep track of when you're full and stops you from overeating. Leave your phone in your pocket. Give your eyes a break from the intense blue light emitted from digital screens by leaving your cell phone in your purse or pocket and picking up a book or striking up a conversation instead. This also keeps you from checking any emails or texts that could spark stress about other affairs. There will be a time and place to address them but doing it on your work break will only mentally exhaust you and build anxiety. Brew some tea. Not only is it great for your health but it gives you an excuse to spend a little time away from your work as you're waiting for the leaves to steep. Black and green teas are recommended to keep alert while chamomile or peppermint help to relax and ease tension. Clean your desk. It may not seem like a break but straightening your things around your desk can really refocus your mind on the task at hand. If you only have a few minutes but are in serious need of a brain reboot, try standing up and work on the clutter. Better yet, walk over and get an all-purpose cleaner. It will get the blood flowing and you'll still look and feel like you're being productive. If you don't work in an office or you're working on something pressing at home, try to adapt these break tips. Your concentration will improve and chances are your posture will too. Sit back and admire your garden for five minutes before working on it again. Take a moment to stretch in between loads of laundry. Sit back and think about that new shed you're in the middle of building. You may catch a mistake you wouldn't have otherwise. If you're worried stopping for a few minutes will lead to ending your task for the day (like my "breaks" usually do), think about why that happens. Most likely it's because you were too tired and forced to take a break. The short amount of time wasn't enough to recover and the rest of the task seemed too daunting to continue. By taking shorter breaks throughout the day, you keep from overworking your body and exhausting your mind. This makes it easier for you to work longer and finish your goal. So if you reach that first scheduled break and think "I don't need it", stop anyway. Don't work through it. You'll thank yourself later. Brewing and drinking a cup of tea forces you to slow down and this tea is made with herbs that naturally relax your body. It's the best of both worlds. This soy candle is perfect for relaxing at home. 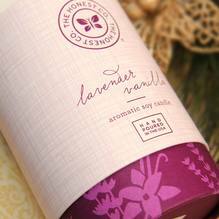 Lavender relaxes so even when you're working on chores you can feel calm.